even before my first harvest of dave jr. i have been looking for different recipes to test out with his delicious sweet and tangy fruits. a friend at work brings in vegetables from her garden from time to time. 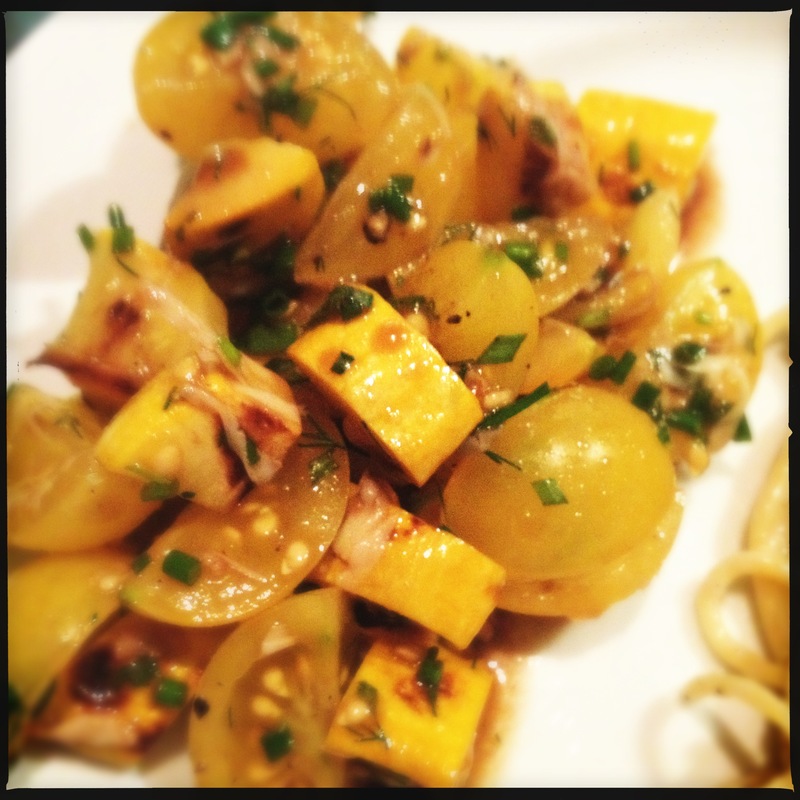 this week was yellow zucchini. i am a fan of most vegetables, and although the squash family has never been a favorite, i was not going to turn down a fresh home garden grown zucchini. doing some quick googling for recipes, i found this on thekitchn.com. i chose to use a grill pan for the zucchini, and it worked just fine. 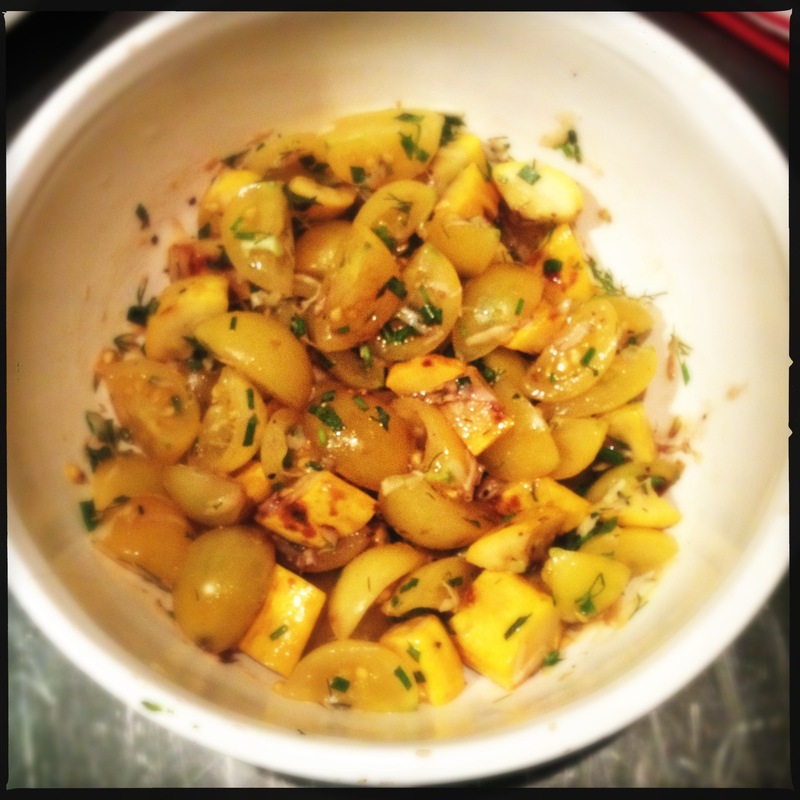 while they cooked, i cut up my yellow cherry tomatoes and herbs (i had dill, tarragon and chives on hand.) 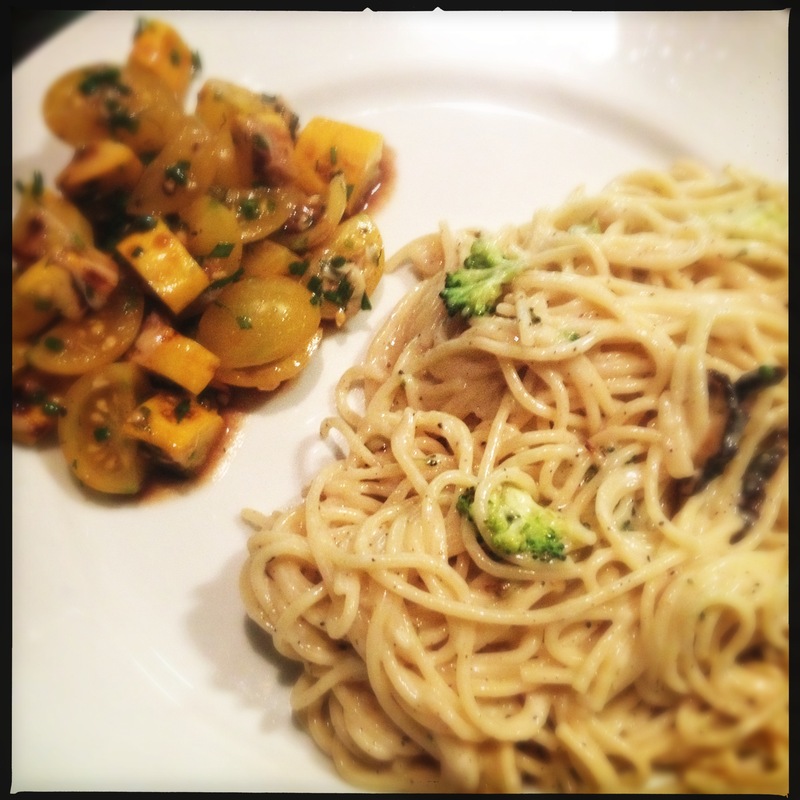 i chose an espresso balsamic vinegar from amphora to drizzle over, and tossed in the rest of the ingredients. of course they used green zucchini, grape red tomatoes and a different mix of herbs, but i’ll bet mine turned out just as tasty. i served it to accompany cacio e pepe, but this would be a wonderfully fresh side to any summer meal. note: i liked this zucchini recipe so much i think i’ll try out more from this list on thekitchn.com, perhaps proving that i like squash after all.